James Pereiro proves convincingly that the Oxford Movement and the theory of development of doctrine cannot be properly understood without a contextual analysis of the Movement’s theory of religious knowledge. The book also shows how the first stirrings of a coherent theory of development of doctrine took place, away from the limelight, in the thought of Samuel Francis Wood, one of Newman's students at Oriel. 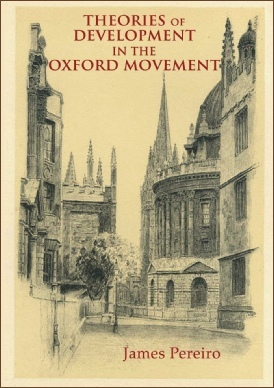 Probably the most important book on the history of the Oxford Movement to be published in the last decade. This is an exceptionally interesting book which is a major contribution to the literature of the Oxford Movement. This is undoubtedly one of the most important works published on Tractarianism is recent years and needs to be read by all those with an interest in the topic.